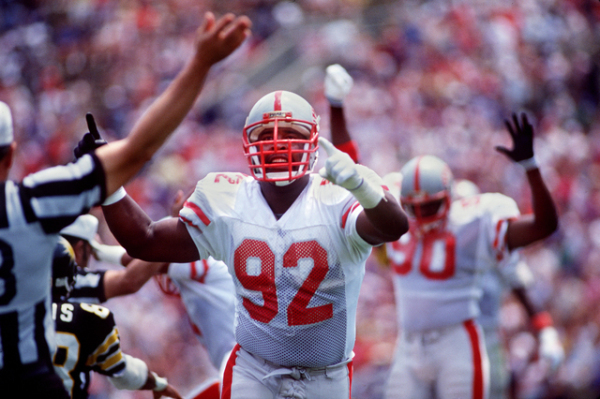 Reggie White was the greatest defensive player in the USFL, and is considered the greatest defensive lineman in NFL history -- recording 198 sacks and 13 consecutive Pro Bowls. 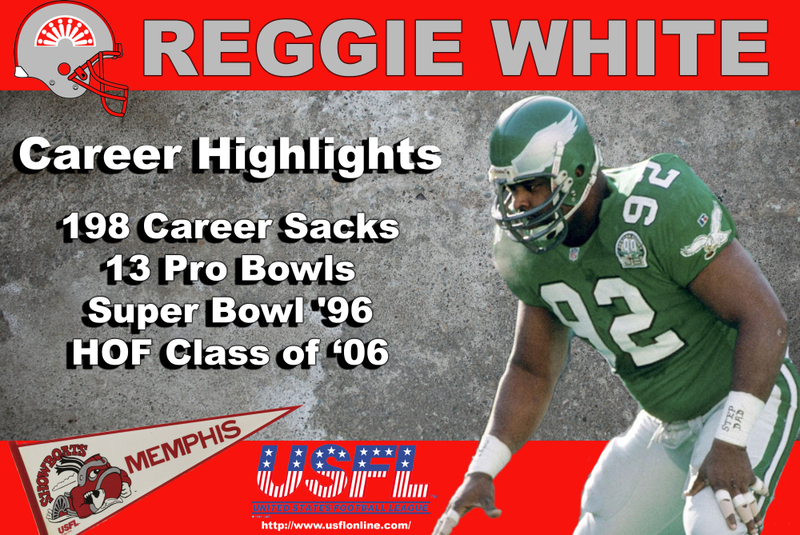 Known as the “Minister of Defense,” White was the face of the Memphis Showboats before establishing himself in the NFL as a member of the Philadelphia Eagles and Green Bay Packers. 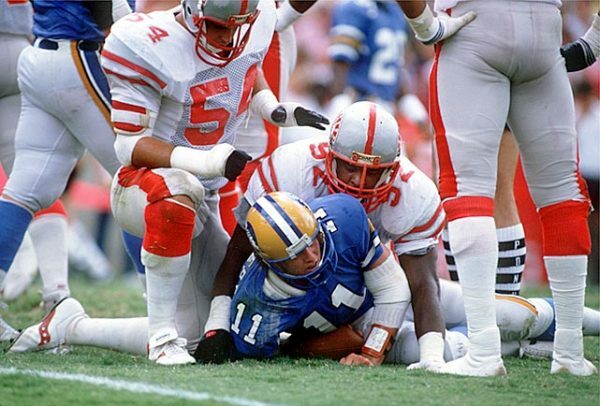 An All-American and SEC Player of the Year out of the University of Tennessee, White rattled USFL offenses with 23 ½ sacks and 193 tackles during his two years in the spring league. 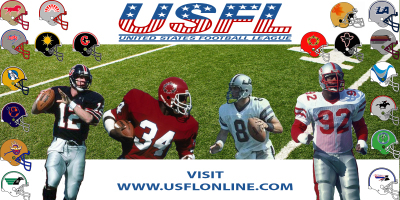 In 2006, White became the third former USFL player to be selected into the Pro Football Hall-of-Fame, behind Jim Kelly and Steve Young. Philadelphia Eagles. Ryan's gift from Eagles’ management was White, who was the fourth pick of the 1984 supplemental draft of USFL players. White led Ryan’s ferocious 46 defense -- earning NFL Defensive Rookie of the Year honors in his first season under Ryan – recording 13 sacks in 13 games.